Feature phones are making a big comeback in markets where mobile penetration is low and the JioPhone in India is a prime example, having become the top-selling mobile phone in the country. 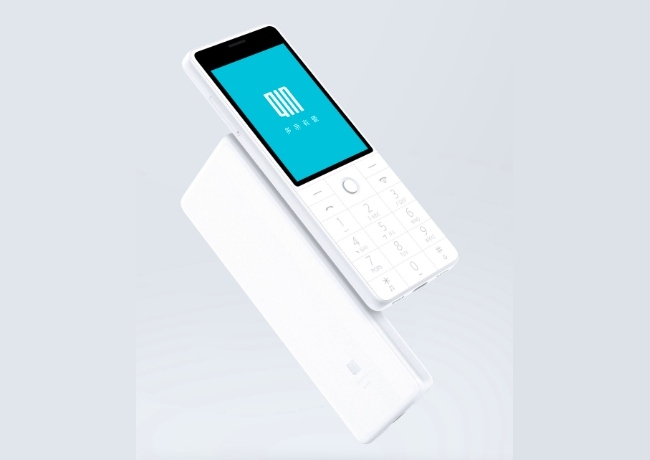 Xiaomi is looking to jump on the bandwagon too, and has listed the Qin AI feature phone on its crowdfunding platform in China. The Qin 1, as the device has been named, may have been listed on Xiaomi’s Youpin platform as a feature phone but it comes with a myriad of smart features in tow. Before we talk about the AI features, let’s take a quick look at the key specs of the Qin feature phone. This is a slender device with rounded corners, with just 8.5mm thickness and tiny enough to fit in the palm of your hand. The Qin feature phone sports a modest 2.8-inch QVGA IPS color display (320 x 240 pixels), surprisingly with Corning Gorilla Glass protection and a complete T9 keypad. The device doesn’t have any cameras. Under the hood, it is powered by a dual-core ARM Cortex A53 chipset, clocked at 1.3GHz, coupled with ARM Mali T82GPU, 256MB of RAM and 512MB of internal storage. This device runs Android out-of-the-box, which may sound unbelievable but a forked version of Android called Mocor 5 backs the Qin feature phone. The highlight of the phone is the Xiaomi’s Xiao AI voice assistant which has features such as real-time multilingual translation feature with support for 17 languages and it can also read out poems and other content to children. You do still get your usual set of features such as the alarm clock, weather report, and a lot more. There’s dual-SIM and dual-standby support available on this device, along with several other connectivity options such as Wi-Fi, 3.5mm headphone jack, and a USB-C charging port (which is not even present in the Redmi Note 5 series). There’s also a 1,480mAh battery on board that offers up to 15 days of standby and IR blaster at the top to help control your TV, AC and other appliances. The Qin feature phone is available in two variants; The Qin 1 is 2G-only feature phone whereas the higher-end Qin 1s sports 4G connectivity. The Qin feature phone will be available in two color options, white and gray, and has been priced at 199 yuan. You can follow this link to check out the Qin feature phone, which has been funded 2435% in a single day. It is expected to start shipping on September 15, so go support the device if you’re interested in bagging this feature phone.